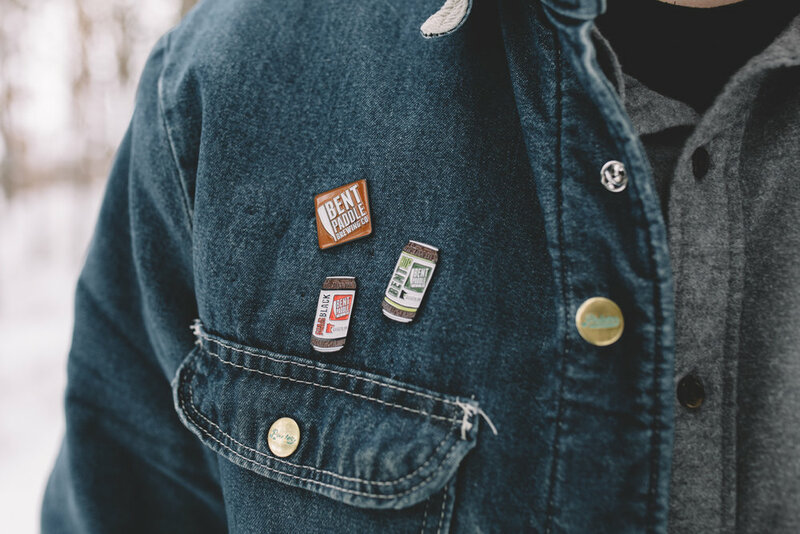 We decided early on when creating Small Batch pins that we would release our pins just like a brewery releases beer. We would have one year-round pin, the hop, and a continually rotating selection of other designs released in “batches”. In 2018 we saw the trend of brewery collaborations really start to take off, a brewery will lend their skills, knowledge, and grain raking power to another brewery for a day and come up with a beer together, with both their names tied to it, the end result being a new beer. We wanted to get in on the fun - so we approached one of our favorites, Bent Paddle, to see if we could collaborate on some pin designs. We settled on three different designs, seen below. It was such a fun challenge to convert the cans into pins!